A collection of rare brewed teas is due to launch in the UK, designed to be mixed with spirits such as Scotch whisky or enjoyed neat as a ‘sophisticated’ non-alcoholic beverage. Following an initial launch in Hong Kong in 2015, Benjamin & Blum teas will make their UK debut in Selfridges, London, in October priced at £25.95 per 200ml bottle. Two flavours will be made available to purchase: Darjeeling White Peony (Bai Mu Dan), grown at high altitude in Darjeeling and hand-picked once a year; and Connoisseur’s Oolong, which is grown in New Zealand. Each expression is cold brewed in the UK in 100-litre batches and includes just four ingredients: tea, Scottish spring water, orange and starflower honey from the Cotswolds. 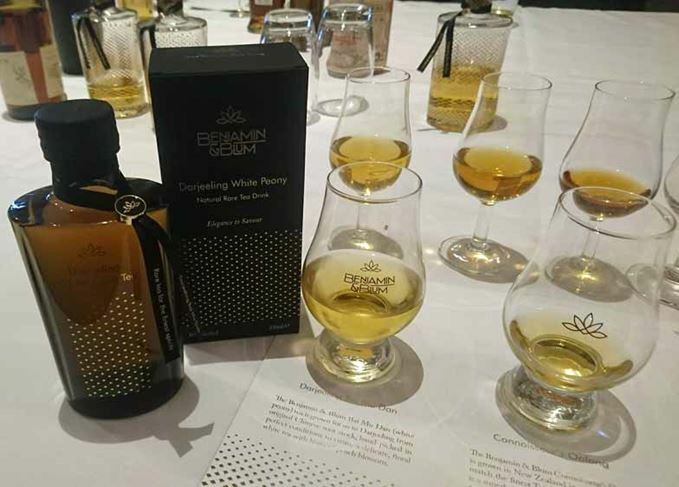 Darjeeling White Peony is recommended for pairing with Sherried, fruity whiskies, such as Glenfiddich 18-year-old, while Connoisseur’s Oolong is suggested for mixing with smoky, peated whiskies, such as Lagavulin 16-year-old or Caol Ila 25-year-old. Paul Benjamin, managing director of Benjamin & Blum, founded the company in 2012, inspired by his great-grandfathers – Marcus Benjamin, who set up a speciality food and drink business in Berlin in the 1890s, and Friedrich Blum, who began supplying tea, coffee and luxury goods to Viennese high society in the 1910s. Benjamin said: ‘I want to revolutionise the way we approach drinks. For those who are not drinking, where are the non-alcoholic drinks with the same level of sophistication as whisky? As part of our selection of seasonal features, Dave Broom picks the perfect drams for springtime. A deconstruction of the unique charms of this much-loved Islay distillery, now 200 years old. A double dose of Bunnahabhain, Caol Ila and Glenfiddich Scotch whiskies from Dave Broom this week.